For the 2017 growing season in upstate New York’s Capital District, I decided to grow a mixture of peppermint, spearmint, and basil plants in hanging pots on the front porch of my home in the Pine Hills neighborhood of Albany. 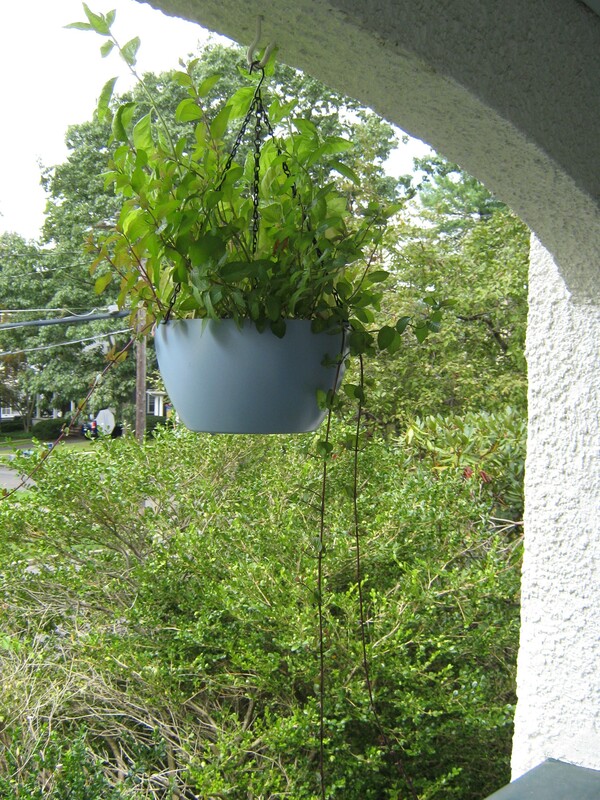 With the mildest autumn I can remember in the nearly 40 years of hanging pots on the old front porch, the mint and basil plants, continue to add a touch of greenery even in early November. 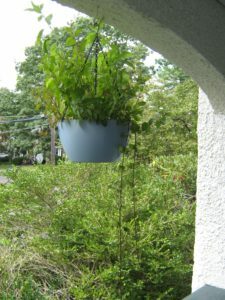 A wonderful benefit of growing the mint and basil in the porch hanging pots was the ability to make homemade mint tea for use in wintry months (to arrive perhaps later than sooner) and to dry basil leaves to use to spice up tomato sauces for hearty cold weather pasta dishes. 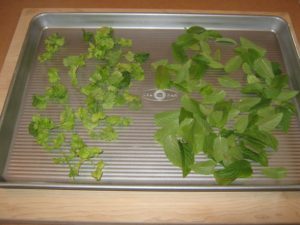 The question of how to dry mint leaves for tea was answered by the Brooklyn Farm Girl who has easy directions to follow that worked perfectly. Pamela, the Brooklyn Farm Girl, describes herself as “Recipe Maker. Urban farmer. Vegetable grower. Film director.” And her guidance was appreciated and gave confidence in this first time experience. 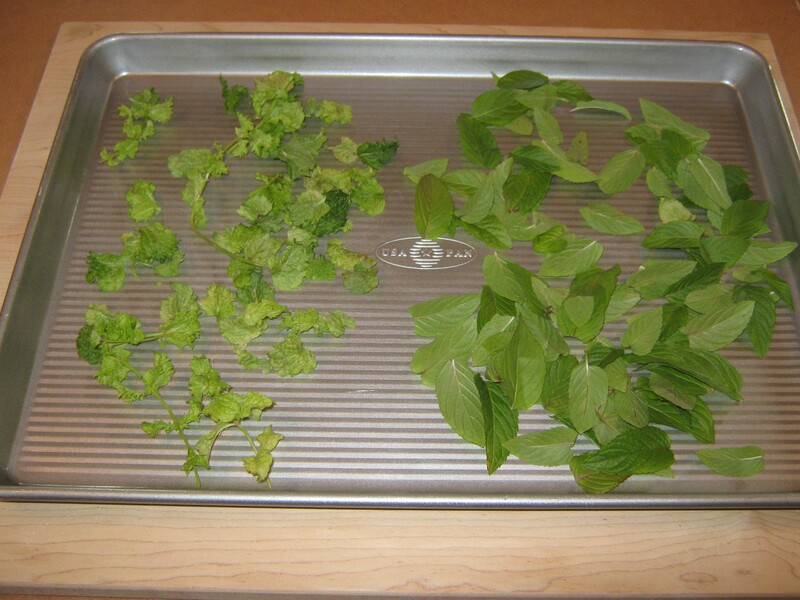 The Brooklyn Farm Girl’s directions also worked perfectly in drying basil leaves for use later this winter. A comment on the Brooklyn Farm Girl’s website from Shashi, who noted that she “NEVER thought to use the oven to dry out any herbs- oh my- thank YOU!! 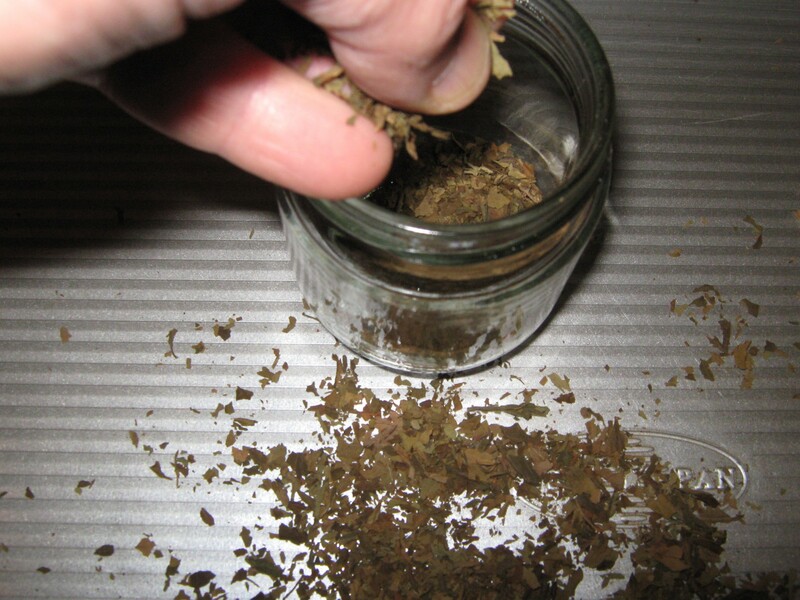 !…possibilities for dried herb usage are limitless!” led to my drying of basil leaves. Following these same directions, I join in commenter Shashi’s enthusiasm, and dried basil, made from basil homegrown in hanging pots on my front porch, is ready for sprinkling into spaghetti sauce and safely tucked away in a glass jar in a kitchen cabinet. 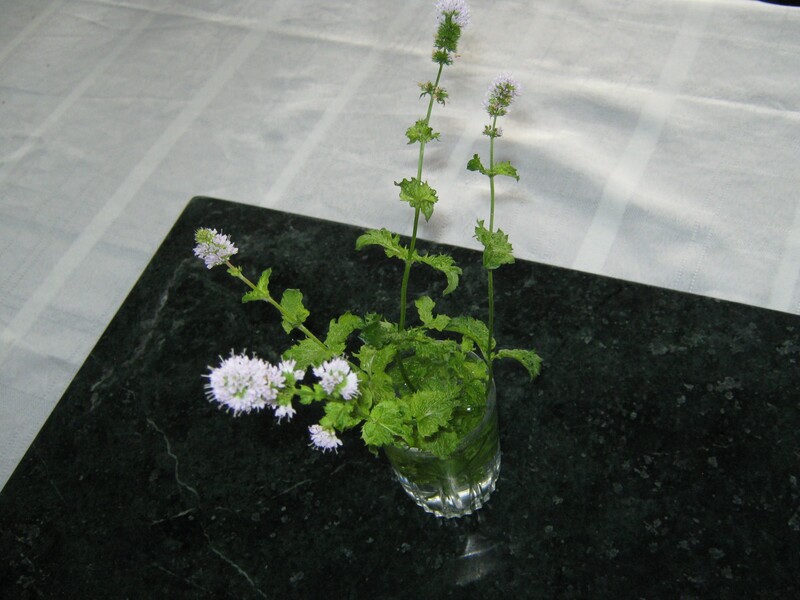 Put mint leaves in one layer on a cookie sheet. Bake for two hours and check to see if completely dry. Two hours was sufficient time in my preparation. But if not completely dry, continue baking and check every additional 15 minutes. After removing from oven, let cool. 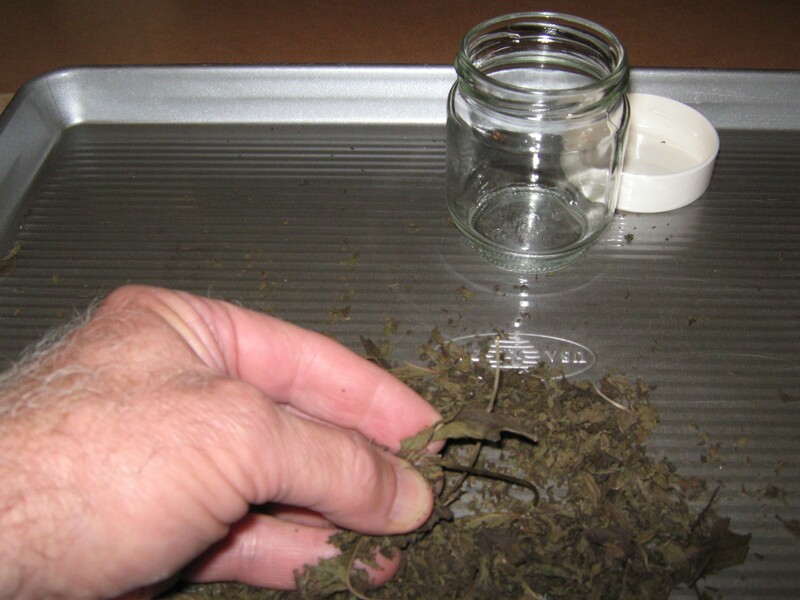 Then crumble leaves by hand and store in a glass container with a tight lid. Store in a dry dark cabinet shelf, away from heat. When using for tea, use one teaspoon of dried mint leaves and steep for at least 3 minutes in hot water, that had been brought to a boil.